Sara’s first day of school is full of surprises, but the biggest one of all is that she discovers she doesn’t understand what the other children are saying and she wonders how she will make friends. Her teacher encourages her to find out the many ways one can say hello. This delightful story of rhyming verse, accompanied by charming illustrations, is a must for all young South African children. 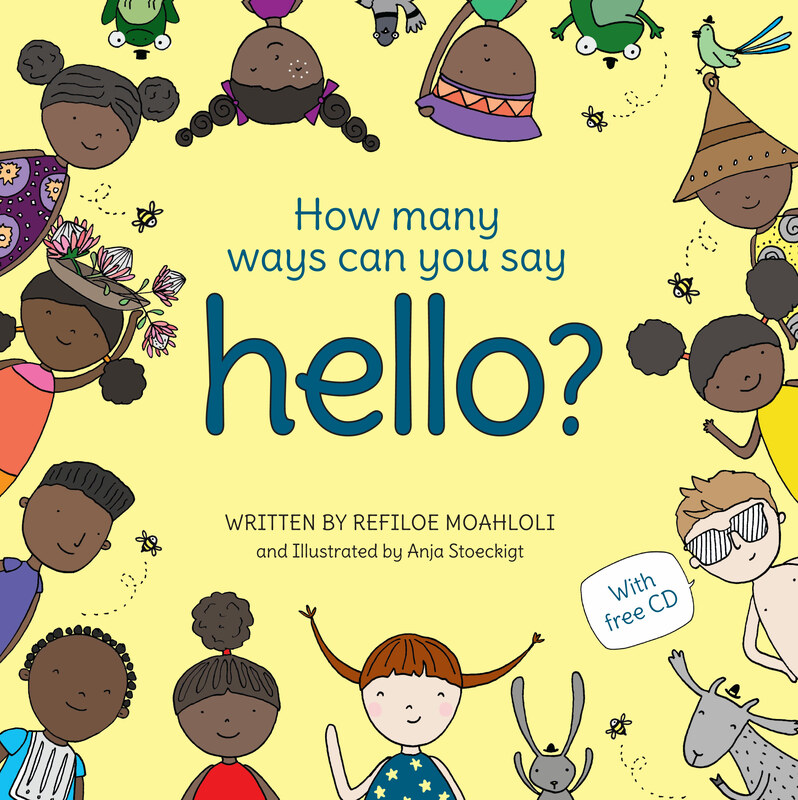 And if parents/grandparents/carers aren’t sure how to pronounce ‘hello’ in all 11 official languages, there is a CD of the text, narrated by the author herself, to guide with authentic pronunciation.